What if your 'Friends' are not available but you don't need to call 911? your friends are not available; Vacations, Out of Town, at 2 o'clock in the morning. Wouldn't it be great to know that someone will always be there if you do need assistance? and you are covered. AlwaysThere4U™ assures you that someone will be there to take a call. 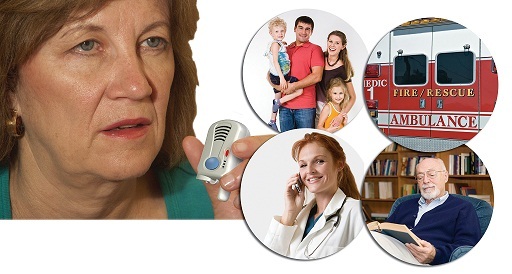 Care Center will contact 911 or other services on your behalf based on your need. Notify 'Who' you want 'How' you want. The packages below do NOT include any equipment. The packages will use the existing emergency alert system you currently have. If you have any questions regarding if your existing system will work, please give us a call. If you need to purchase equipment that is compatible CLICK HERE. Plus a whole lot more ! Available in the U.S and Canada. All calls answered by our U.S. based call center 24 hours a day / 7 days a week. Annual AlwaysThere4U™ Plan: Only $199.99 a year. Save $39.89 plus No Payments to worry about for 1 year. The packages above do NOT include any equipment. The packages will use the existing emergency alert system you currently have. If you have any questions regarding if your existing system will work, please give us a call. 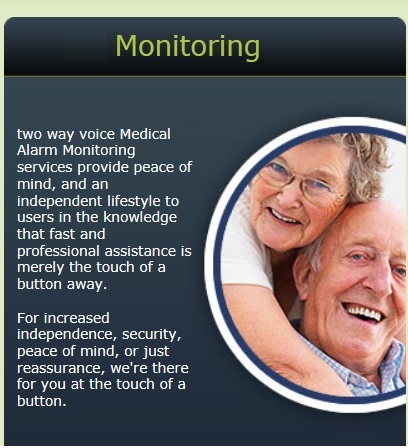 When you press the panic button on your existing Medical Alert System your system will call our toll free 24/7 Care Line. When someone answers they will have access to the personal medical or health information that you have provided previously to assist emergency responders. They can contact emergency responders for you and/or friends and family. You are in total control. "What's Included with the Monthly Care Plan?" One month of professionally monitored emergency calls to our Care Center 24 hours a day 7 days a week. Someone is always there to help you. "What's included with the Annual Care Plan?" One year of professionally monitored emergency calls to our Care Center 24 hours a day 7 days a week. Someone is always there to help you. "Can I try it and cancel if I am not satisfied?" "Will the system that I have work with this service?" If you purchased your system from ATS there is a 99% chance it will work. If your current system is designed to dial a number for a friend or family or even 911 then it most likely will work with this service. 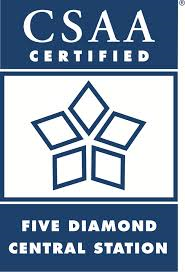 Please contact us if you are not sure and we will help you determine if your system is compatible. "If I am on a monthly contract can I cancel the contract?" Yes, please contact us to cancel your monthly contract. Please see your agreement for full terms. You can also unsubscribe at any time by clicking HERE. "If I go out of the country or leave for a few months vacation can I temporarily stop billing and then re-start when I am back?" Yes, please contact us to suspend your service. Please see your agreement for full terms. You can also unsubscribe and re-subscribe at any time by clicking HERE. "I paid for the Annual plan last year. How do I pay for 1 more year all at once?" You can make a One-Time payment for your second and consecutive years of service for only $199.95. You can make the annual payment at any time by clicking HERE. "How does this service work?" 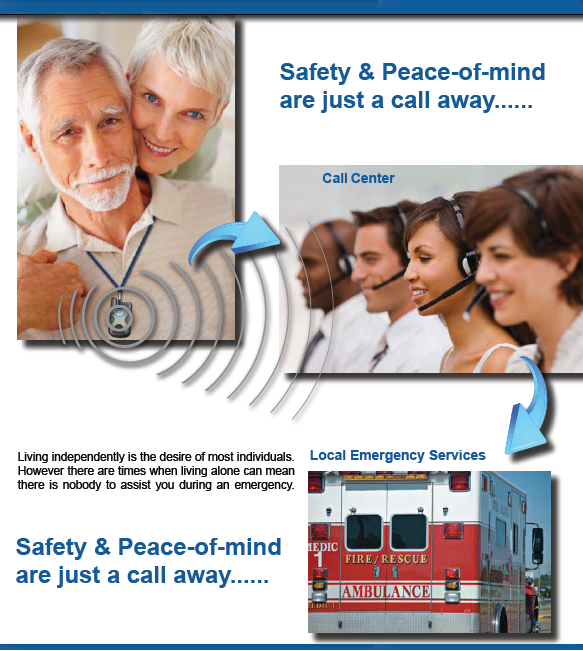 The AlwaysThere4U™ service is simple to use. Press the emergency panic button on your existing emergency alert and it automatically places a call to our around-the-clock professional responders. You don’t need to remember numbers or have to dial a number --- it happens at the press of a button. Emergency personnel stay online with you until appropriate help arrives at your location. Optionally, anyone can be notified, your family, caretaker or doctor. We will also contact anyone you need if you tell the care specialist. Who is contacted is always totally up to you. "How do I set it up?" Easy! The AlwaysThere4U™ service is as easy as programming our emergency care number into your existing alert system as one of your emergency contacts. If you need help with that we are always happy to assist. The emergency care number will be provided to you during the registration process. What are the qualifications regarding the monitoring company that is called when the panic button is pressed? We use two central station alarm monitoring centers. Both of our central stations are fully redundant, UL listed, and geographically separated to provide uninterrupted service to our customers nationwide. 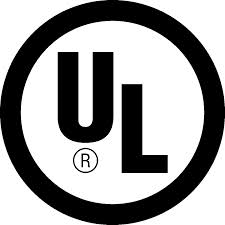 Both of our alarm central stations are UL 2050 listed, which means that we exceed all of Underwriters Laboratories' stringent requirements for alarm monitoring set forth in UL 827. 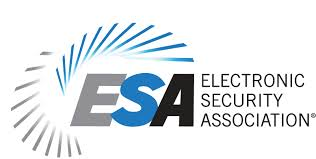 We implement in depth employee training and the most advanced innovations in alarm monitoring technology to consistently exceed these high standards. We have invested heavily to accomplish 100% redundancy between our two alarm central stations to make sure that our customers won't go unprotected due to power failures, storms, or other disasters. This redundancy includes the protection of facilities, data, receivers, and telephones. Many alarm central stations in our industry claim to be fully redundant, but in reality, most are only data redundant. Rest assured that your central monitoring station is completely capable of taking care of your customers at all times with two fully redundant central monitoring stations. To complement our redundancy, our facilities are also equipped with standby generators that contain multiple independent fuel sources, allowing us to provide continuous alarm monitoring services despite equipment failures, storms, or outages. 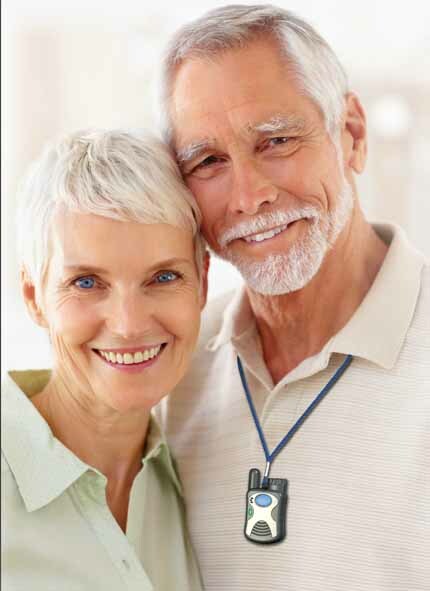 This is an incredible benefit for our subscribers because it provides them with peace of mind in knowing that they are always protected by advanced monitoring no matter the conditions. Our redundancy and disaster-recovery planning is unsurpassed in the industry. As a result, our customers can always rest assured that they have the most innovative monitoring technology protecting what they care about the most.